The Irish Chief Fire Officers Association has announced it will host its annual Conference and Fire Technology Exhibition in Naas, County Kie on 7-8 May. Minister for the Environment, Community and Local Government Phil Hogan will join Fire Officers, Academics, industry experts and Government and Local Government officials from Ireland and overseas for the annual showcase event for Ireland’s Fire and Emergency Services sector. 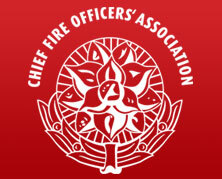 The theme of this year's conference is "Leading the Fire Service of the Future" - visit www.cfoaconference2014.ie for full details and to book. CFOA Chairperson Seamus Murphy said : "The aim of the conference and accompanying exhibition is to afford all involved in the fire and rescue area the opportunity to debate current issues and to see the latest developments in fire service appliances and equipment, and to explore the newest technology in fire service operations and fire prevention. The conference will see addresses by the likes of John Power (Director General, Engineers Ireland), CFOA UK president Paul Fuller, Tony O’Brien (Deputy Executive Director of European Emergency Number Association) and Professor Daniel Boatright (Senior Associate Dean, University of Oklahoma, USA). Celina Barrett, Conference Secretary and Kildare Chief Fire Officer, added: "Kildare Fire and Rescue Service is delighted to be able to host this year's event, which takes place at an interesting time for the Irish Fire Service.